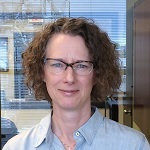 Teresa has a Bachelor of Science in Nursing from the University of Victoria, and is a certified medical transcriptionist. A Victoria native, she has worked as a registered nurse in diverse settings, and along that path discovered a talent for seeing issues from different perspectives while appreciating the bigger picture. As a successful clinical trials research nurse Teresa discovered a keen interest in project management, and a natural predisposition for attention to detail which proved invaluable when managing research projects. In her role as an educator at a not-for-profit health organization, Teresa discovered a passion for counselling and providing essential information to others. She is a strong believer that knowledge is a powerful tool that can transform decisions, behavior, and life. As a result of her unique collection of education, jobs, and interests, Teresa brings impressive organizational, research, editing, and project management skillsets to the role of Administrative Assistant at Automotivaters. Having lived most of her life in the British Columbia, Teresa now lives in Victoria, BC with her husband, and enjoys gardening, playing her piano, and spending time outdoors with her dog.